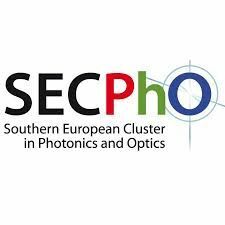 SECPhO is a cluster in Southern Europe that brings together companies, technology centres and research groups in the field of photonics and optics. Technology Centre, IK4-IDEKO develops its activity in 8 research lines under the common scope of developing new products and/or services for manufacturing industry. In particular, Inspection and Measurement research line aims with the development of innovative automated measuring solutions based on Machine Vision and Photonic technologies, paying special attention to non-contact industrial metrology by means of proprietary stereophotogrammetric and multicamera autocalibrated photogrammetry, as well as with the development of new automated NDT inspection solutions based on ultrasonics (from conventional transducers to phased-array and EMAT approaches) and active thermography (inductive, laser, etc.). The activity of the Inspection and Measurement research line encompasses the collaboration with our customers throughout all main stages until the final industrial implementation of each new inspection and/or measurement solution, from the design and development stage to the final set-up and validation. IK4-IDEKO is a private Research Centre (northern Spain), skilled in Manufacturing and Production Technologies. It is associated to DANOBATGROUP (biggest spanish machine-tool builder group) and MONDRAGON Corporation (5th biggest industrial holding in Spain), belonging to the IK4 Research Alliance, made out of 9 R&D centers and >1300 researchers.